Honesty of design is the hallmark of the Craftsman Bungalow. 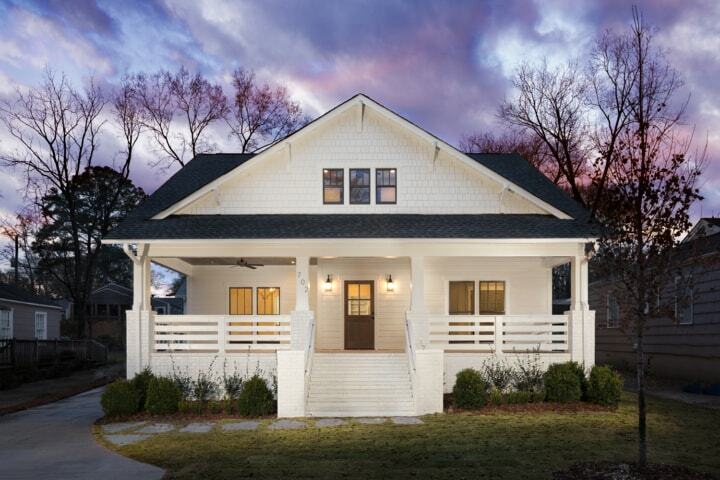 This craftsman bungalow with an impressive front porch and great details. Some of the first true Craftsman homes, like the Gamble House by Greene & Greene, were built in California. The open floor plan and earth-hugging horizontal profile was ideally suited for California’s mild year-round climate. The design was heavily influenced by the architecture of the Spanish mission buildings and the Japanese aesthetic that was seen everywhere in the first decades of the 20th century. The magic of the Craftsman Bungalow home was contagious. Homes designed by architectural leaders like the Greene brothers were huge, expensive, and well-appointed with every amenity. At the same time, plans for the rustic or “artistic” home were well within reach of those with more modest pretensions.